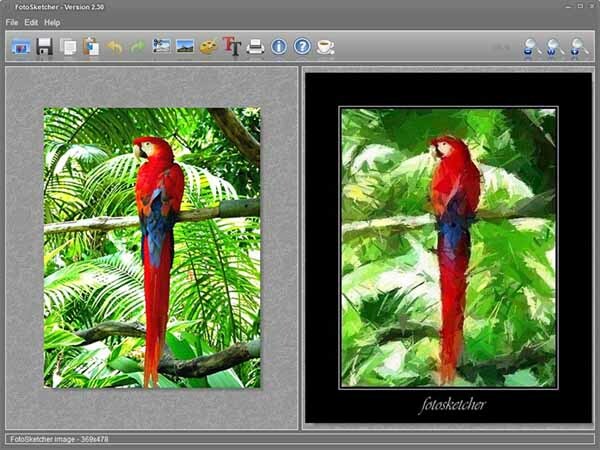 Free download FotoSketcher Latest Version.FotoSketcher is a 100% free program for Windows which converts your digital photos into art automatically and in just a few mouse clicks. Over 20 different styles are available from pencil sketches to watercolor or oil paintings, pen & ink drawings and cartoons. From photo to painting (landscapes, architecture, portraits, etc.) in seconds!